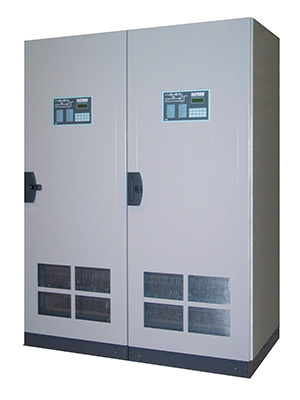 Industrial, heavy duty AC UPS with full galvanic insulation. Designed to Supply critical AC loads with stabilized continuous supply, in the Oil & Gas, Petrochemical, Power & Utilities applications. The product firmware, can be fully customized as for the customer request, adding easily any features required. Borri has the capability to made any modification internally, reducing at the minimum the time and cost required. The product can be easily added to any existing project, thanks to the experience and know how of Borri engineering team. The customer will be supported from our technical department, along the entire cycle of the project. The product layout, allow to the final user the possibility of an easy and fast maintenance. All the components are well disposed inside the unit, and the panels can be installed against the walls. The product include an advanced user interface, and powerful tools for troubleshooting and monitoring. All the basic and advanced operations, will be done using simply the user interface of front panel.